USPS approved label substitutes for USPS postcard. Compatible with Blumberg's Certified Mail software. Most firms will be better off with the FREE Certified Mail Software. Nonetheless, firms that prefer not to install desktop software for each user may wish to purchase BCN Forms download template here (MAC and PC compatible). 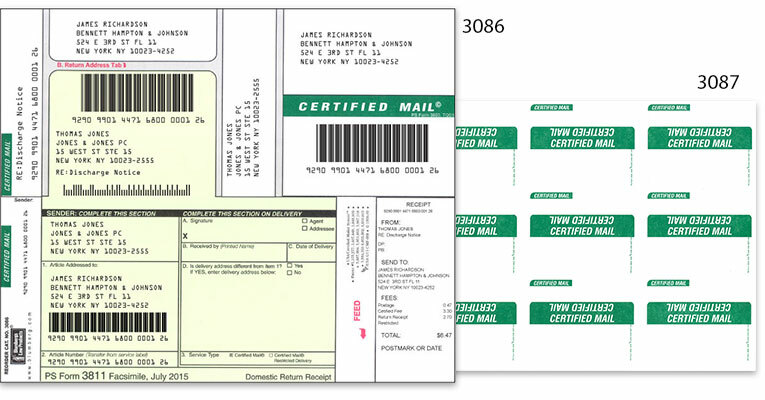 Includes the Intelligent Mail package barcode (IMpb) on PS Form 3811.